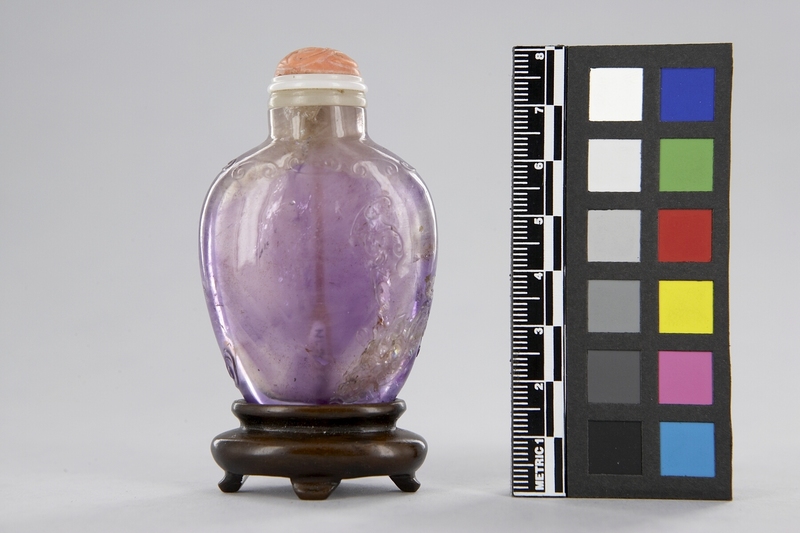 Item number N1.387 a-c from the MOA: University of British Columbia. 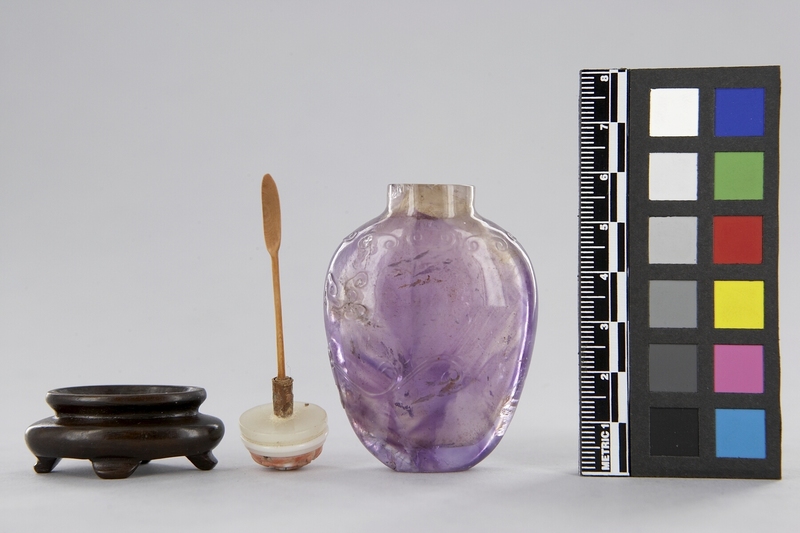 A flask-like snuff bottle (part a) that is semi-translucent purple decorated with a bat, a butterfly, and a lion. 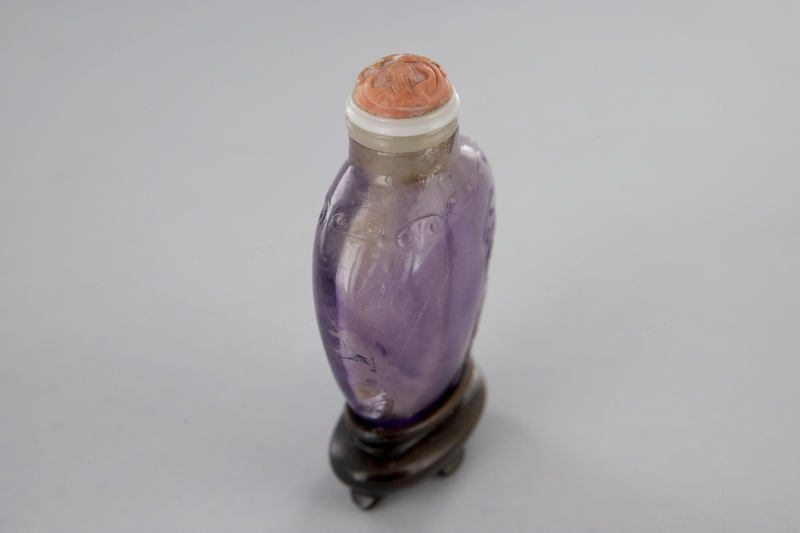 There is a stopper (part b) that is made of a pink coral carved with an animal reaching out with its paws. The wood stand (part c) has the shape of an oval, and has four legs.